I saw this impressive piece covered in sihos (mythical lion-elephant creatures) pregnant with double-headed nagas (protective river serpents) and carrying their young and a frogman (or perhaps an ancestor spirit) on their backs at Phaeng Mai Gallery in Vientiane. I am not an expert on symbolism, but the abundance of protective and fertile creatures here suggests it might be a wedding blanket. 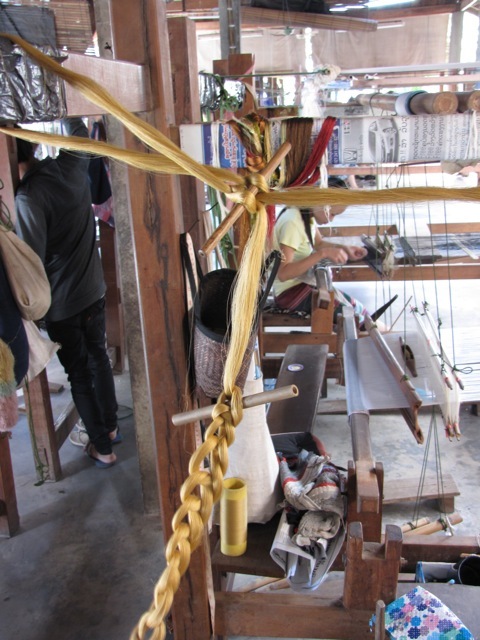 Phaeng Mai has a large workshop housing many weavers, and a lovely gallery of ethnic dresses and intricate pieces. In the workshop, it was possible to view most stages of their processes, from dyeing and reeling, through warping, weaving and tailoring. 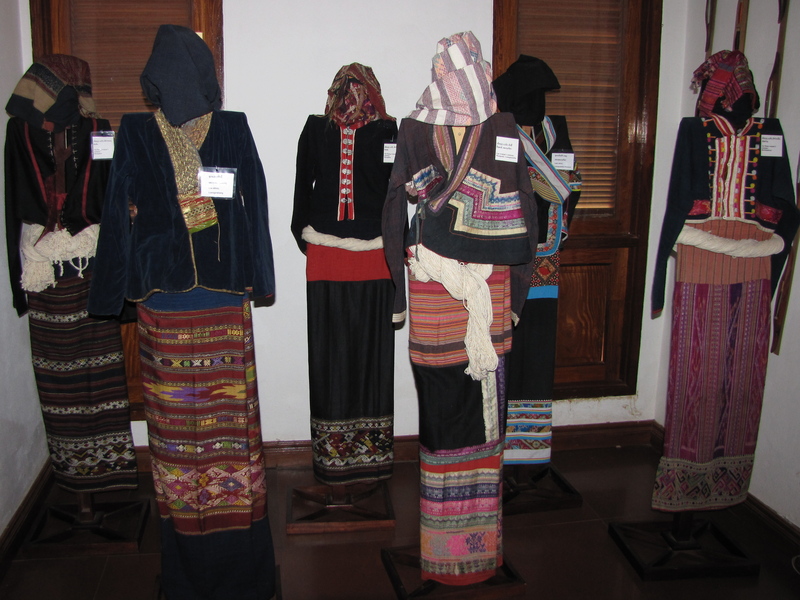 This entry was posted in Laos and tagged Asia, costume, ethnic, Laos, loom, silk, Textile, traditional, tribal, weaving by Wendy Garrity. Bookmark the permalink. It looks great stuff ! I’m going to Vientiane next july. Do you have the address of this shop ?